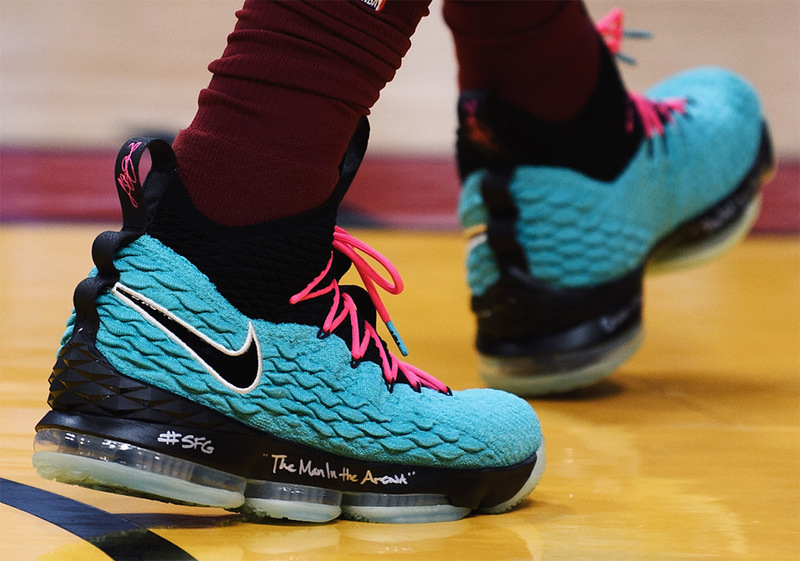 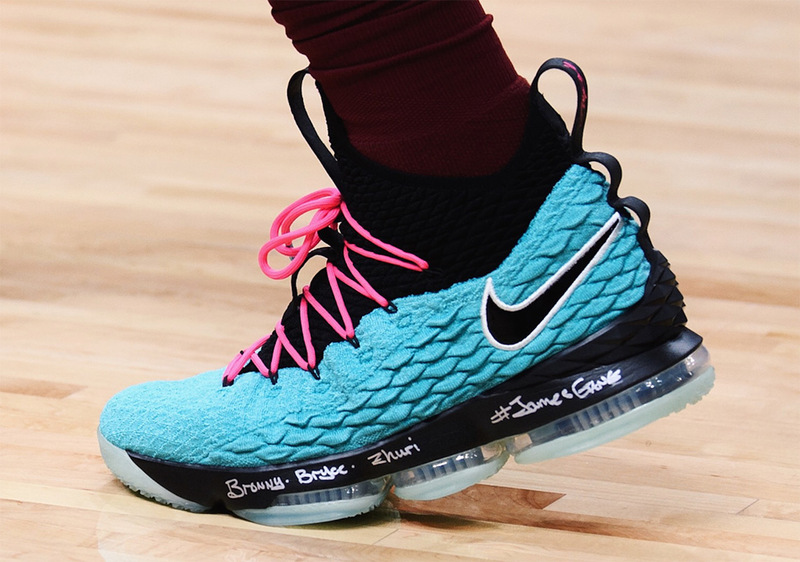 The #LeBronWatch continues as LeBron James sports a brand new colorway of the LeBron 15 inspired by the infamous “South Beach” colorway. 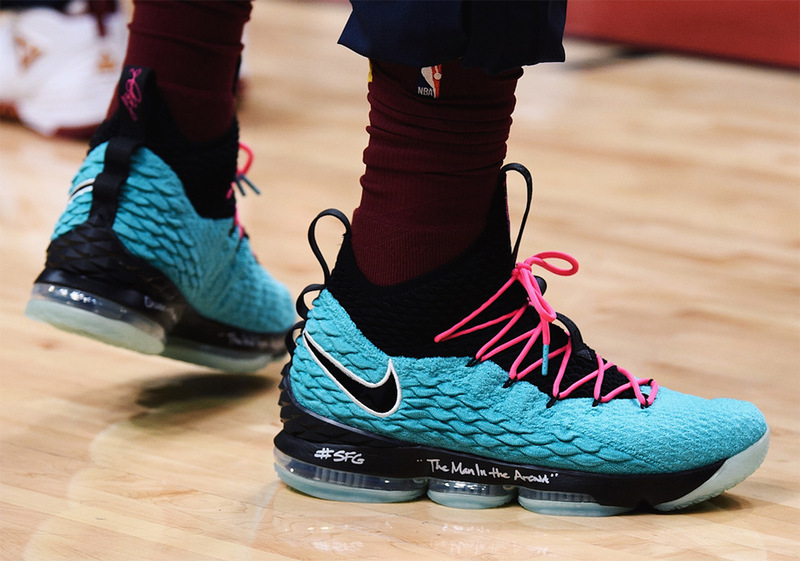 After LeBron left Cleveland for Miami in unceremonious fashion in the Summer of 2010, Nike fanned the flame with this epic teal and pink colorway that represented the city of Miami to a tee. 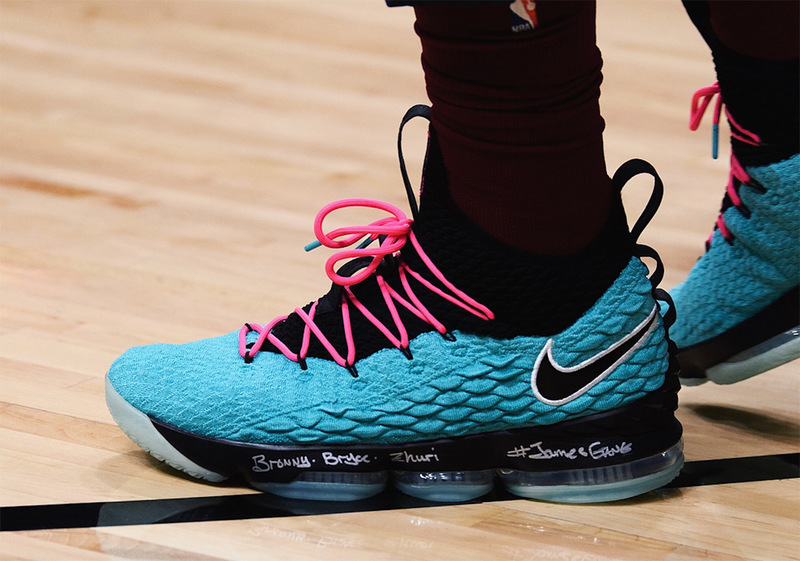 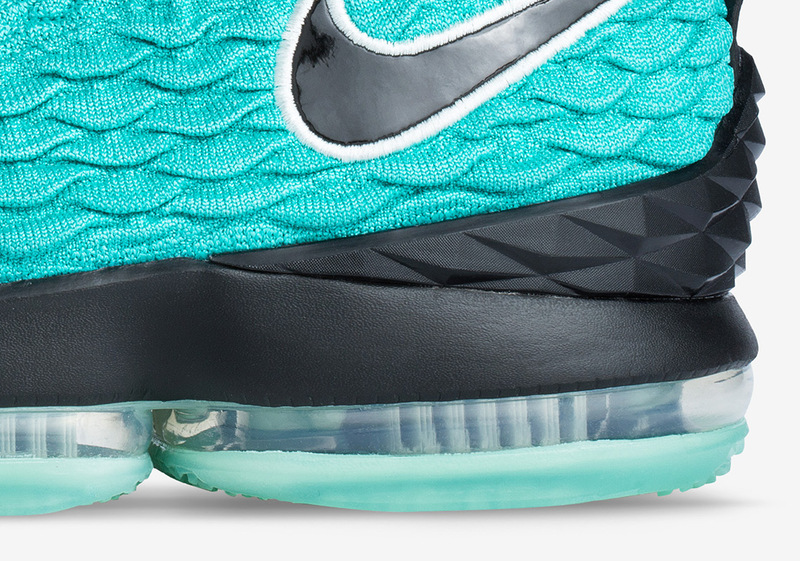 Since then, the “South Beach” look has gone on to be one of the most popular sneaker colorways of all-time, and tonight it makes a surprising return by way of a special PE for the #LeBronWatch campaign. 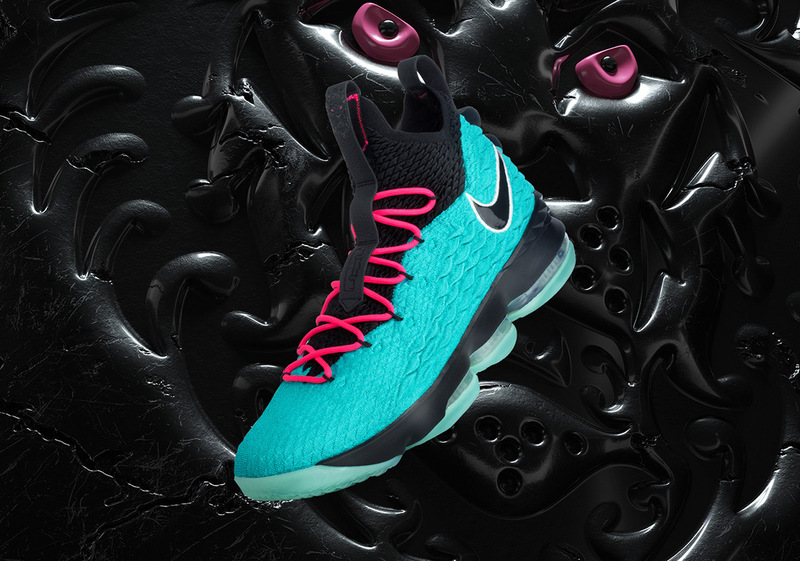 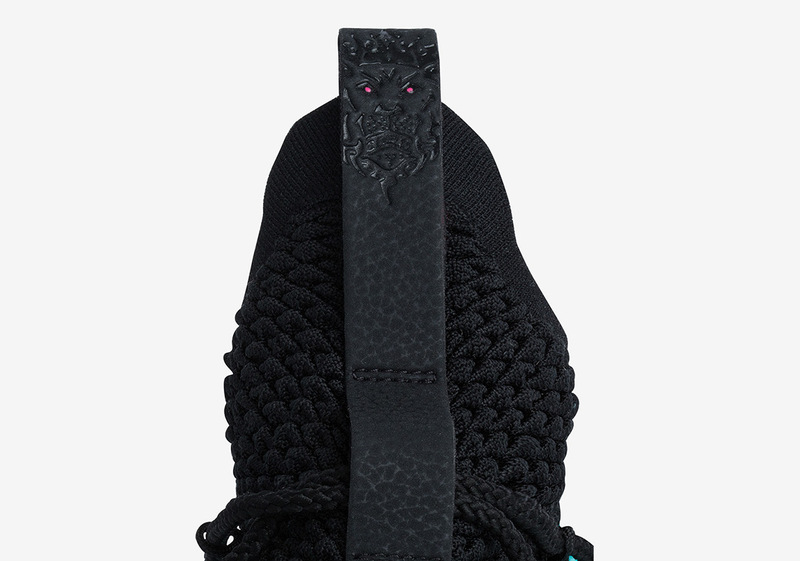 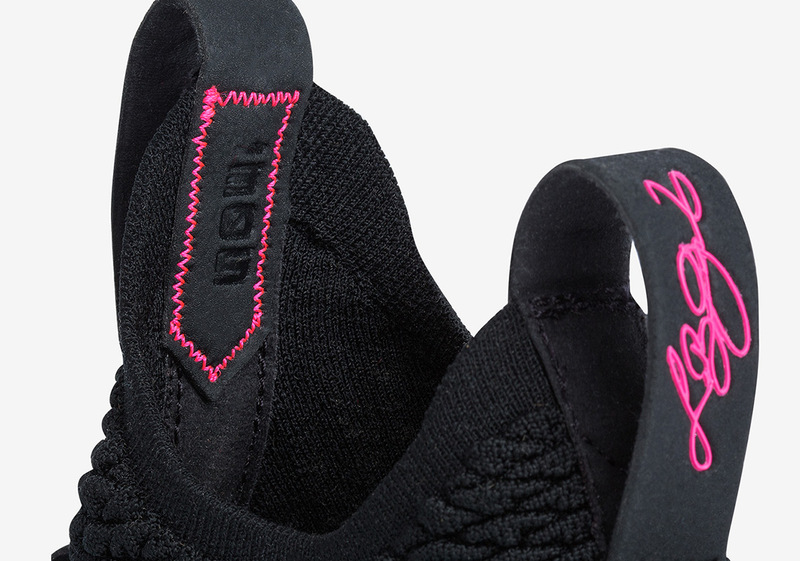 These were made just for LeBron and will likely not release as part of the program.